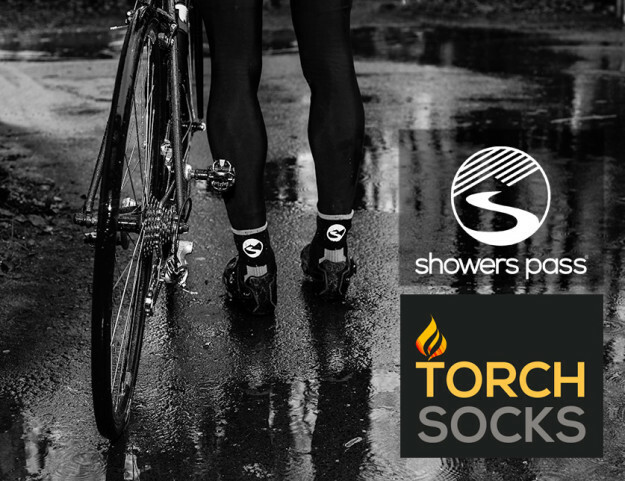 Showers Pass Torch Socks are the perfect summer hiking and biking sock to get you ready for fall. As I’m sure you all know from previous experience, we love good socks here at MorningMoss. It’s something we use every day and hunters and hikers need comfortable footwear to stay warm and ensure that we can be outside longer. In the spring and summer though, we need socks that keep our feet dry and help others see us when we’re hiking, or just running outside. That’s where the Showers Pass Torch Socks review comes in. Torch Socks from Showers Pass are the sock for active outdoor enthusiasts no matter what sports you love. Showers Pass Torch Socks are high quality socks that not only keep your feet dry and cool, but they also feature a reflective technology so that you can easily be seen when light hits them. This is really handy when running, biking or hiking and you need to be seen by others. Each pair of socks is fitted to your foot and is made out of merino wool (my favorite), polyester, acrylic, nylon and Lycra. This doesn’t mean anything except that it wicks away moister and is fitted good on your foot so that it doesn’t stretch out. Hiking in these socks is awesome. Obviously, in the summer your feet are going to sweat, but 12 hours in these things is no big deal. You can even throw them on another day if you’re camping and need to since the merino wool prevents stench and they dry quickly. My favorite feature of these socks is how durable they are when wet. I got my feet wet and was able to continue walking without having any chafing or having them slide up and down. The socks have padded areas on the heel and toe so that it’s reinforced to last longer and it makes them very, very comfortable. If you need some good socks for hiking and camping this summer, check out the Showers Pass Torch Socks and their other goods. They have a great website full of awesome products. You can also buy them on Amazon here. See more of the latest hunting gear.